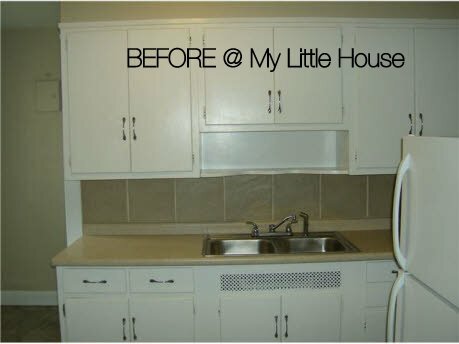 This week I did two mini updates in my kitchen. I love it when little updates make a big impact. In this case one update made a big impact and the other one was more for my own benefit. 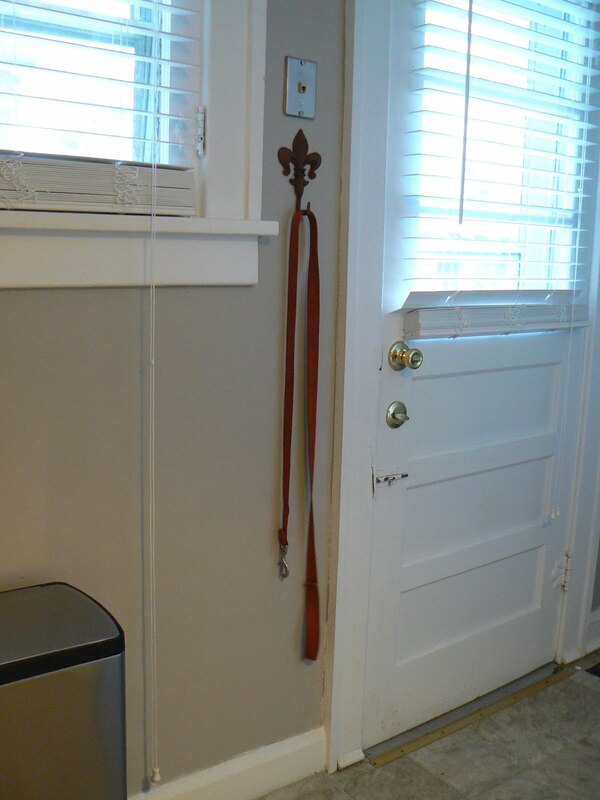 Since this home was built in 1925 it has a few little cute features that don't come in newer homes. One such feature is a little shelf built into the kitchen cabinets. While I like this little shelf I'm never been truly sure what to do with it. At first I just piled little crap on it. Cute shelf, cute stuff, and yet... still bland. Then I had an idea, what if I paint the background of the shelf? That could be cool, right? I could paint it a great accent color and then do some other stuff, but I thought a pattern would look cooler than a solid color. But painting a pattern is hard so I thought what about fabric? I dug through my scrap fabric and found a piece that was perfectly sized. Next, I got some scrap cardboard and cut it to the size of the back of the shelf, then I wrapped the fabric around it, and voila! This piece of fabric is from the IKEA 'As Is' section for only fifty cents. I really like the fabric background but the styling is a little random in this shot. This fabric stayed up for the past few months but then I slowly got tired of it. Which is just fine because it's just fabric wrapped around cardboard shoved into a shelf so I just took it down. I went through my scraps of fabric again and found another one that I liked and wrapped that around the cardboard and put it up. 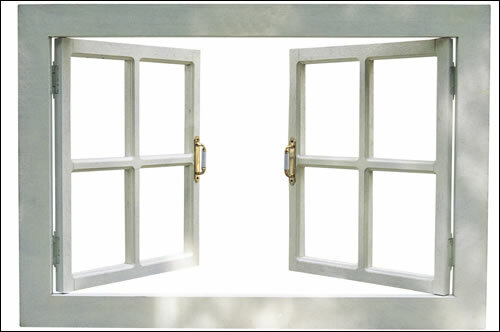 Why wouldn't I just show you a picture of my actual windows opening up? Because they are painted shut. Yeah, I know super lame. I hope to some day get them un-painted (however one does that) because that would be cool but for now they are shut for good. 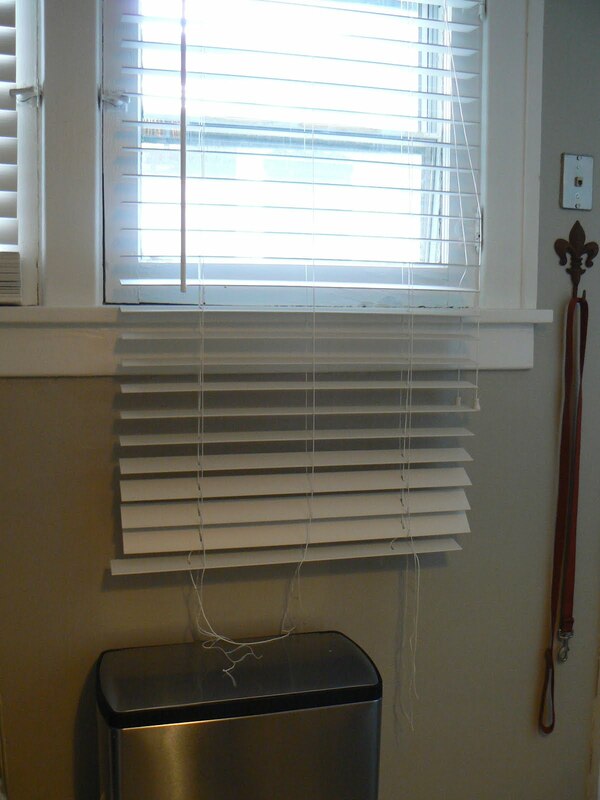 Anyway, back to the topic at hand, the blinds. I replaced the vinyl blinds that came with the house because they were disgusting. I picked these faux wood white blinds. I really like the blinds except for the fact that they are way too long. And while this bothered me I had no idea what to do about it. That is, until I read this blog entry about how to shorten them. I mean seriously, saying that this blew my mind is an understatement. I was so excited! There weren't really directions on how to do it but I didn't really care I just started cutting crap because I like to life on the edge like that. I lowered the blinds all the way and cut the strings between the bottom piece and the last slat. Then I pulled out all the slats I didn't want anymore, cut the strings below the last slat, and tied them back together.